These players definitely have a brain. Fortnite: Battle Royale players are known to be extremely creative when it comes to building cool structures or going for highlight reel plays. But this new “strategy” might take the cake. 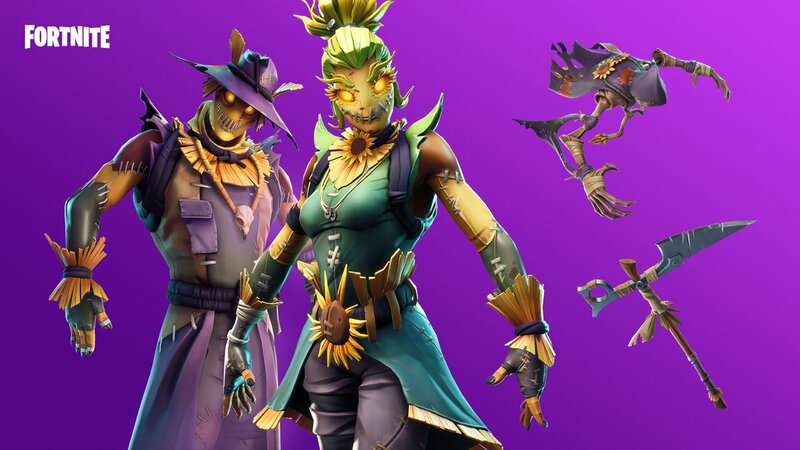 A combination of new skins and an emote that were added to the Item Shop last night have players doing their best scarecrow impressions. The Straw Stuffed skins (Hay Man and Straw Ops) and T-Pose emote both became available in Fortnite last night. And when they’re used in combination, it looks like the player is actually an inanimate scarecrow. With either the Hay Man or Straw Ops skin enabled, just use the T-Pose emote and wait for someone to run near you—and then you can eliminate them before they even realize what happened. In an area like Fatal Fields that now has large corn fields, this strategy can really trick unsuspecting players (or total noobs). The addition of Halloween decorations across the map has likely added to the confusion—if players weren’t used to seeing random decorations in season six, this scarecrow tactic probably wouldn’t be as successful. This strategy really shouldn’t work, but somehow, it is. So the next time you see a “scarecrow” in Fortnite, just shoot it.